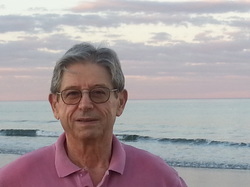 ​A long time member of the Seacoast Jazz Society’s Board, Harvey Shepard is also a past President. He is a retired Professor of Physics at the University of New Hampshire, having taught and done research there for 37 years. Harvey was born in Chicago and began his love affair with jazz in his early teens. One big influence was the radio show of DJ Holmes “Daddy-0” Daylie. Among the jazz artists he saw live in Chicago and at the University of Illinois in Champaign-Urbana were the Dave Brubeck Quartet and Oscar Peterson. He also recalls seeing the movie “No Sun in Venice” featuring the music of the Modern Jazz Quartet while in college. His roommate was a music composition major so he hung around with many musicians and was present when the visionary composer Harry Partch visited for a term. Moving to southern California for graduate school, Harvey heard Miles Davis, Stan Getz and others at the Hollywood club Shelly’s Manne-Hole and also various west-coast players at Howard Rumsey’s Lighthouse Cafe in Hermosa Beach. He was a big fan of West-Coast jazz, including musicians like Chico Hamilton and Bud Shank among others. His volunteer work has included many years on the board of the Portsmouth Poet Laureate Program, three years as a mentor-counsellor at the SCORE chapter in Portsmouth, a board member on the Squamscott Community Commons organization, and current work packing and delivering food to school children for the End 68 Hours of Hunger program in Exeter. In retirement he focuses on writing (poetry, Op-Ed essays, book reviews, etc) and studying music—playing piano and learning music composition.